A graduate of the U.S. Military Academy at West Point with a B.S. in Engineering Science, Norm Reinhardt was commissioned as an officer in the US Army Signal Corps. He transitioned into executive leadership roles at technology companies to include General Instrument, Cisco Systems, and World Wide Technology. He is currently the Senior Vice President of Client Support and Operations at a privately held technology company, Levels Beyond. He holds graduate degrees from Pepperdine University (MPA) and Rensselaer Polytechnic Institute (MS). Norm and his wife, Brenda, have been married for over 40 years and have two adult daughters. They have been active in The Christian and Missionary Alliance churches in Georgia and Southern California. 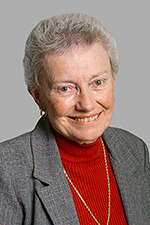 Jo Anne Cripe was elected to the Board of Trustees in 2011. Jo Anne, a former Simpson University professor, retired from teaching at Butte Community College in 2016. Jo Anne and her husband Jeff (a walnut farmer) have been married for over 30 years and have two young adult sons. The Cripes live in Chico, CA, in the middle of a 90-acre walnut orchard. They are active in their home church, Bidwell Presbyterian, with a special focus on young adult ministries. 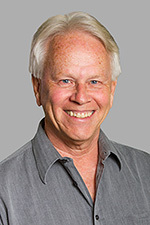 Jim Postma is a professor (and former Chair) in the Department of Chemistry and Biochemistry at California State University, Chico. 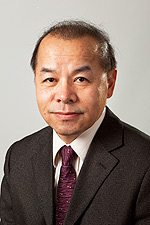 He is a member and former chair of the Academic Senate of the California State University. 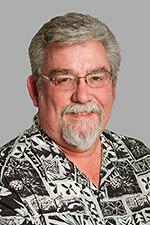 He has been faculty at CSUC for over 30 years. After having been married to Beverly for over 30 years, they now have two daughters (one a Simpson alum) and two grandchildren. Jim and Bev attend Evangelical Free Church in Chico. Mike Fitzpatrick was elected to the Board of Trustees in 2006 after serving for several years on the Simpson Foundation Board of Directors. After graduating from Claremont McKenna College, he went on to earn his Juris Doctor degree from University of California School of Law in Berkeley, CA. He and his wife, Merlynn, live in Redding, CA and have four children, two of whom are pastors. Mike coordinates a ministry to Mien (Laotian) refugees in Shasta County through the Redding First Church of the Nazarane. Mike and his wife, Merlynn, spend about 4 months each year sharing the Good News in towns and villages in S.E. Asia. 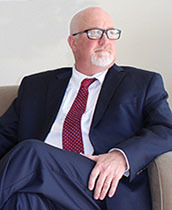 Alan Burchett is a graduate of UC Berkeley and Hastings College of the Law and is practicing law in Chico, CA. He is certified as a specialist by the California State Bar Association in estate planning, probate and trust law. 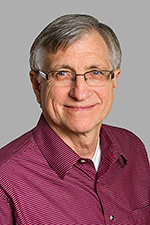 He has served as an elder and board member at his home church, Neighborhood Church of Chico, where he and his wife Brenda have served in numerous capacities. They also love to serve abroad doing short term mission trips. Alan and Brenda have been married for over 40 years and have two children and three amazing grandchildren. 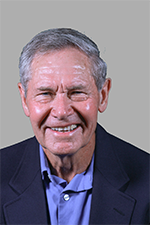 Bill Carlson has spent nearly 50 years in the power generation industry, including 15 as an independent consultant. He has decades of executive experience in larger corporations with extensive background in budgeting, finance, operations, capital planning and human relations. Bill has a degree in mechanical engineering from Cal Poly San Luis Obispo, where he met and married his wife. The Carlsons have two children and four grandchildren and live in Redding, where they attend Neighborhood Church, a C&MA church where Bill has taught SundaySchool for about 15 years. He has been active on school district, chamber of commerce, youth mentoring, and energy alliance boards. 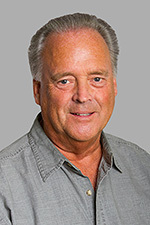 His son earned a master’s degree at Simpson University, and his brother produced a radio program at Simpson when it was located in San Francisco. 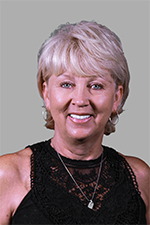 Betty Dean is the Superintendent/President Emeritus for Butte-Glenn Community College District and was elected to the Board of Trustees in 2007. 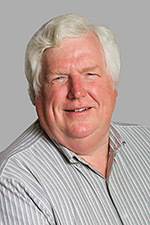 Dr. Dean served as Chair of the Board of Trustees from 2011 – October 2015. She has been married to Clyde Powers for 21 years, has 3 wonderful step daughters, and 9 grandchildren. She also is an active member of Bidwell Presbyterian Church – Chico, CA. Raymond Homan was elected to the Board of Trustees in 2004 and serves as chair of three committees: Business Finance, Employee Benefit Plan, and Audit. A Simpson alumnus, he has worked in business management for over 30 years and with a military storage contractor for 20 years. He serves on the finance board of the First United Methodist Church in San Diego, where he lives. Julie Irving was elected to the Board of Trustees in 2011. After serving 30 years as a middle school health educator, Julie retired in 2008 to spend more time with her family and to devote herself to passions outside the classroom. She enjoys mentoring moms with young children, event planning for Salem Free Clinic, gardening, and traveling to Germany to visit her grandchildren. She has been married to husband Kent for over 30 years, is mother to three grown children, one of which graduated from Simpson. Hal Kimball is retired from the Seattle public school system where he worked since 1970. 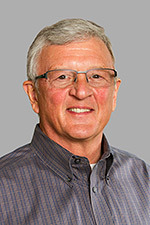 He earned his undergraduate degrees in history-Bible and education at Simpson Bible College and Seattle Pacific University, respectively, and a master's in educational administration from Western Washington University. He has been married to his wife, Loretta, for more than 40 years and they are blessed with three children. The Kimball’s reside in Seattle, WA, and attend Arbor Heights Community Church. 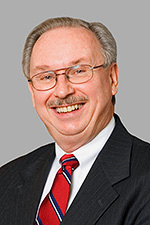 Bill Malick was elected to the Board of Trustees in 2008. He serves as superintendent of the C&MA’s South Pacific District. Prior to that, he spent many years pastoring, church planting and serving as church planting director for the district. He and his wife, Deborah, have been married for over 30 years and live in Murrieta, CA. 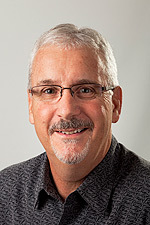 Mark Matheson was elected to the Board of Trustees in 2009 and is the owner/president of Matheson Trucking. He and his wife, Sherrie, have a son, Josh, who graduated from Simpson University and a daughter, Lauren, who graduated from Biola University. He is a life member of Full Gospel Business Men’s Fellowship. Mark and Sherrie attend Rolling Hills Church in El Dorado Hills, CA. 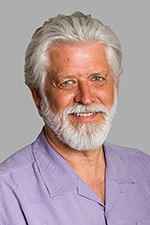 Tom Perry is a physician, OB-GYN, and has had a private practice since 1981. He serves on a medical malpractice committee with the Christian Medical and Dental Society. He is a member of Neighborhood Church in Redding, CA, and was an elder for nine years. 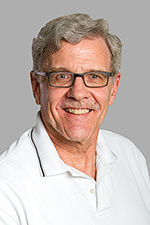 He and his wife, Betty, serve as advisors on missions’ matters and they have both gone on mission trips to Mexicali, Mexico with Simpson RN students. They enjoy staying involved with the college students, especially with the missionary kids, to whom they serve as dorm parents when needed. Tom and Betty have three daughters. Dave Richey was elected to the Board of Trustees in 2007 and is the senior business leader at Visa Inc. He attended Simpson College in San Francisco, 1974-1978. He also attends Neighborhood Church of Castro Valley. Dave and Kim met while attending Simpson and have been married for over 30 years. They have three sons and seven grandchildren, who are an indescribable joy. Randy Shaw has served in the Alliance Northwest District for 25 years, having spent the majority of that time church planting. He has three almost grown children and lives in Portland with his wife, Kendra. 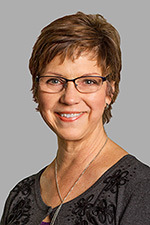 Patty Taylor was a full time employee at Simpson University for 15 years, including as the Dean of Continuing Studies (ASPIRE). She continued teaching as an adjunct in the program for an additional two years. She recently felt the Lord tugging her to return to Simpson to serve in the role of a Trustee (2018). She has also served as director of women’s ministry at Risen King Community Church in Redding, a rescue mission mentor for 15 years and has been a volunteer at the veteran’s home in Redding for the last four years. Patty and her husband, Tom, have two grown children and seven grandchildren. 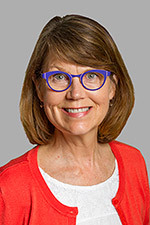 Patty and her two children are all Simpson graduates, and she writes, “My heart will always be tethered to Simpson University, and I treasure the time I spend serving there.” She earned a master’s degree from Azusa Pacific University and attends The Stirring, a C&MA church in Redding. Lue Thao is the chief financial officer for a community health center corporation, an elder/trustee/youth director of the Alliance Church of Merced, and the former treasurer of the Hmong District. Lue was born and raised in Xieng Khuang, Laos and is a graduate of Illinois State University, Lewis University MBA program, and Covington Seminary. Lue and Pang have three sons. Rev. Ray Van Gilst and his wife, Donice, have been involved in planting and pastoring churches all over the Inter-Mountain region for 25 years. 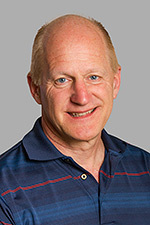 Ray is an Accredited Certified Coach with the International Coach Federation. He also has been able to share his passion for church planting through teaching classes and seminars at Simpson University, and has taught Church Planting with Tozer Theological Seminary as an adjunct professor. 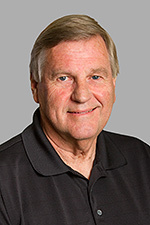 Gary Friesen serves as General Counsel for The Christian and Missionary Alliance. 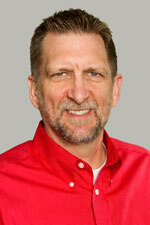 Gary loves to teach, and has taught biblical peacemaking, conflict resolution, and leadership issues across the globe. Primarily, he is passionate about seeing people everywhere experience the redemptive power of the Gospel in their relationships, beginning with himself, his wife, Laurel, and their four children.